After negotiations BVGC is proud to have such an important partner backing the QBVT for the next 3 seasons. This will change the shape of the tour and will secure Beach Volleyball at its home in Surfers Paradise. We will be able to host night games and really highlight the exciting game to the public in the new Beach Volleyball development at the Surfers Paradise foreshore. Read more..
We are very proud to announce that Barefoot Wine & Bubbly have come on board this season as a major sponsor of the Beach Volleyball Gold Coast. Barefoot Wine and Bubbly is the largest Global Wine Brand in the World and helps over 3,500 charity events a year across the globe. Founded by Micheal Harvey and Bonnie Houlihan in Sonoma County, California in 1985, Barefoot Wine was built by supporting community driven events such as Surf Rider Foundation and local Beach Volleyball associations. With an incredible 30 years under our belt, the wine is now sold in over 66 countries and was launched here in Australia in late 2014. The brand is all about having fun and we're very proud to be partnered with Beach Volleyball Gold Coast to promote an active lifestyle and whilst making the most of our beautiful Aussie beaches. Our wines are very easy drinking and true to their style, with 6 of our varietals being produced in South Australia and 2 of our varietals being imported from California. To find out more about our company please check out our website www.barefootwines.com or please contact your Queensland "Barefooter" via email at rclark@oatleywines.com.au . TB'S Wine & Beer Surfers Paradise, Champion Liquor Stores Isle Capri & Australia Fair, TB's Wine & Beer Capri on Roma, TB's Wine & Beer Pacific Fair, Tap House Coolangatta and many more. Some of our local Surf Clubs that stock our brand include; Southport Surf Club, Kurrawa Surf Club, Northcliff Surf Club, Palm Beach Surf Club, Coolangatta Surf Club & Rainbow Bay Surf Club. 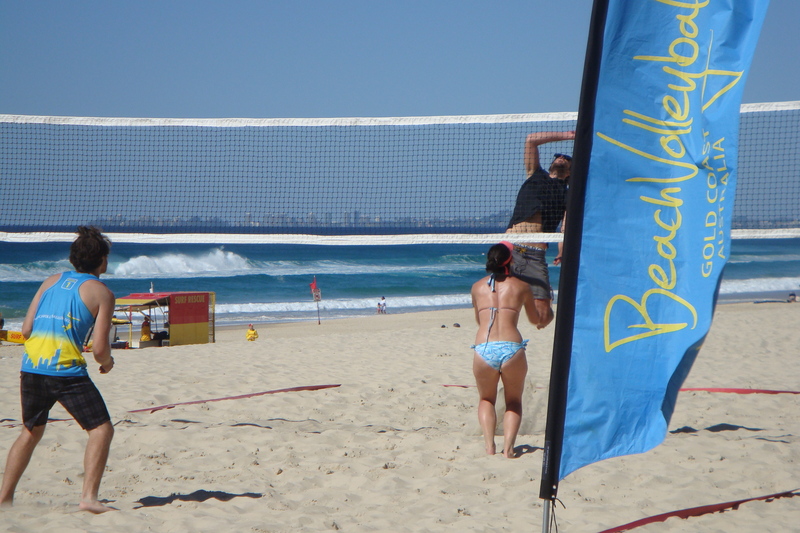 Having already signed three (3) local sporting Clubs, the new sponsorship of the Beach Volleyball Gold Coast is a completely new adventure in Bartercard South Gold Coast’s ongoing goal to reinvest into the local sporting clubs and community, and the Beach Volleyball just seemed such a nice fit. “After 20 years in business on the Gold Coast, I thought it was about time that we looked at our local community and sports clubs” commented Andrew Federowsky – Bartercard Founder and Franchise Principal. With the addition of the Beach Volleyball series Bartercard South Gold Coast now supports the Burleigh Bears, Kirra Sports Club, Merrimac Soccer Club and Cudgen Leagues Club. For more information on how Bartercard can help your business visit www.bartercard.com.au or telephone us directly on 07 5593 5916. Is the official eye wear sponsor for the 2015/16 QBVT/BVGC calendar. Bolle is a long standing partner of beach volleyball and we would like to thank them for their ongoing support.